Chinese New Year Meal Plan with over 20 delicious and authentic Chinese New Year recipes. Celebrate Lunar New Year with appetizers, soups, noodles, main dishes and more! Chinese New Year is days away and falls on February 5, Tuesday. I have put together a Chinese New Year Meal Plan and Menu just for you. For those celebrating Chinese Lunar New Year, below you will find some of the best and most authentic Chinese recipes. Check out the recipe ideas below and I am sure you will find something you like for the reunion dinner. For those who don’t celebrate Lunar New Year, I think you should try to make some of these amazing Chinese dishes at home. Let’s all celebrate the year of the Golden Pig together! To get the recipes, please click on the links or the images. The recipes will be on each recipe’s page and not on this page. 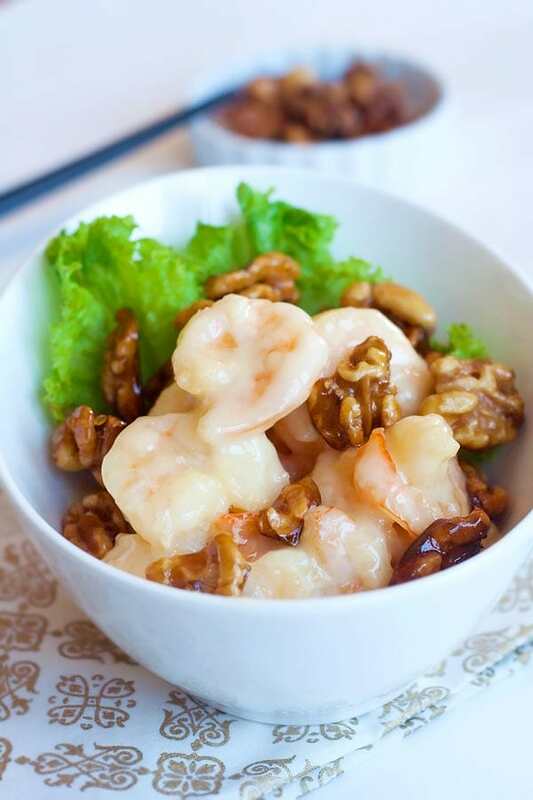 Shrimp is an auspicious food to have during Chinese New Year. 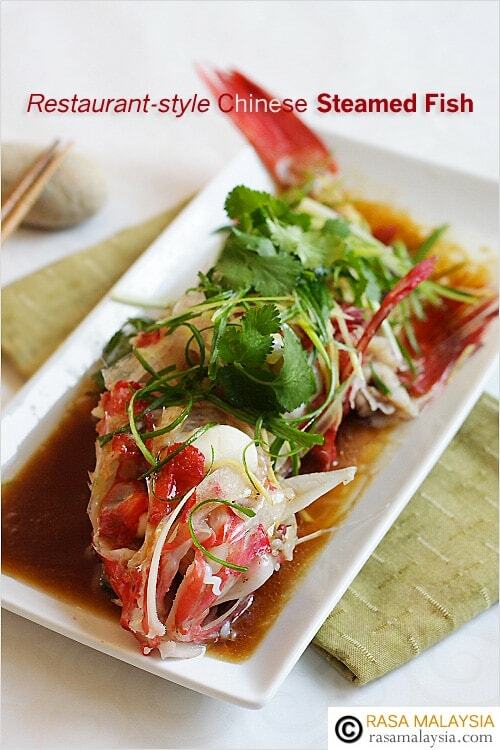 The pronunciation of shrimp is “ha” in Cantonese, which means laughter. In the year of the Golden Pig, you will have lots of happiness. 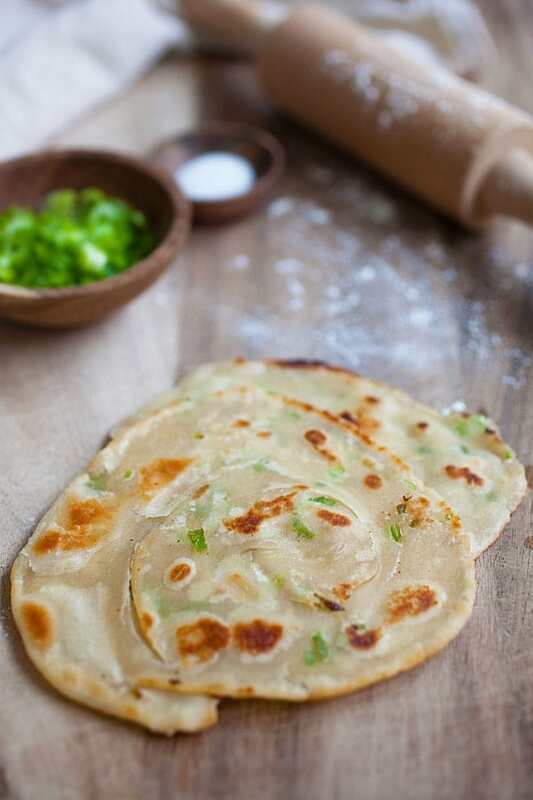 Crispy and thin scallion pancake that is 100% homemade. 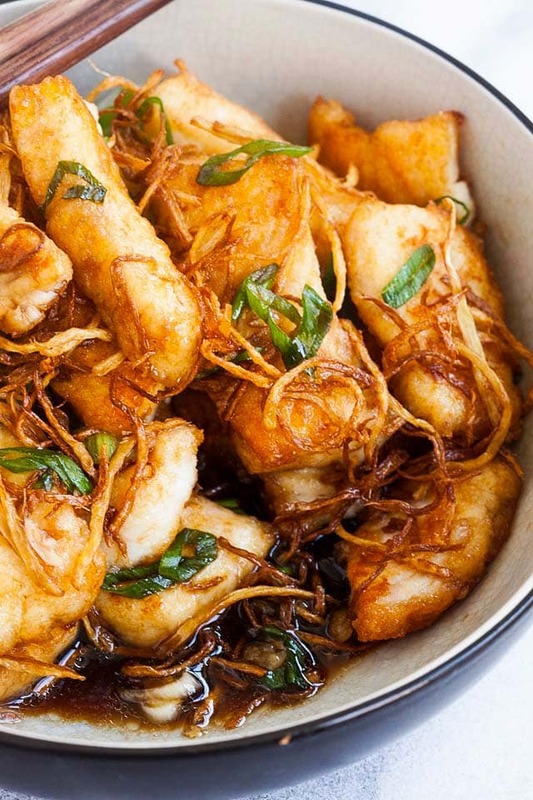 You will love the simple deliciousness of this Chinese appetizer. 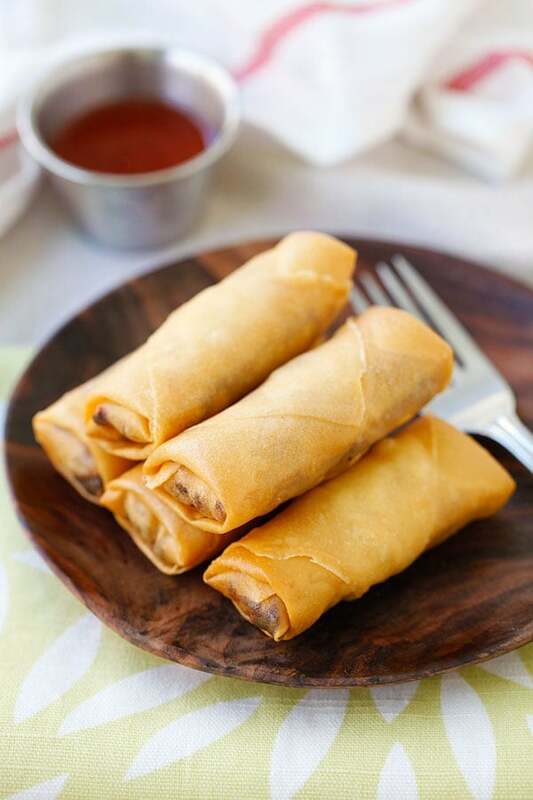 Who could resist crispy golden brown fried spring rolls? Filled with vegetables and deep-fried to golden perfection, these spring rolls will be perfect for Chinese New Year! In China, reunion dinner is about family members coming together and making dumplings. It’s an age old tradition. Dumplings are absolutely delightful. Here are some of the recipes I recommend for you. 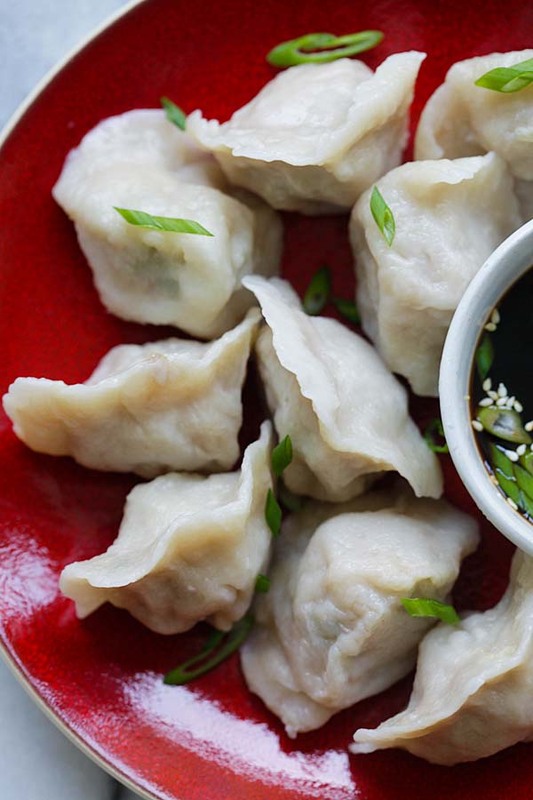 Juicy and delicious boiled dumplings filled with ground pork and chives. These homemade jiaozi are the best! 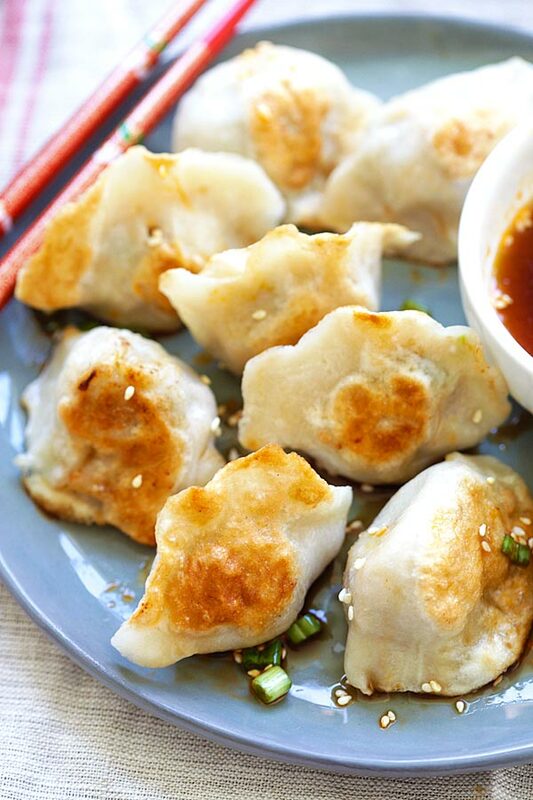 Crispy and golden-brown pan-fried dumplings with ground pork and veggies. These are absolutely delightful and juicy. It’s winter and I am sure many of us could use some heat in our food. 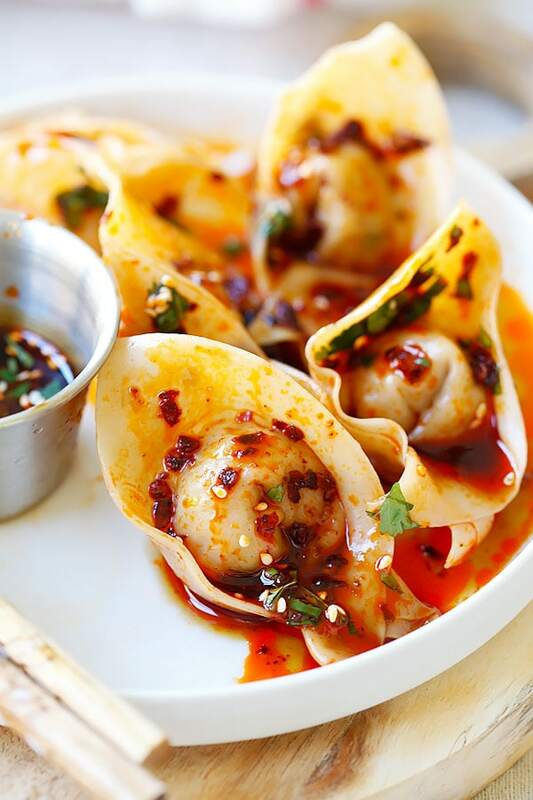 Make these Red Oil Wontons since wontons are practically a type of Chinese dumplings. 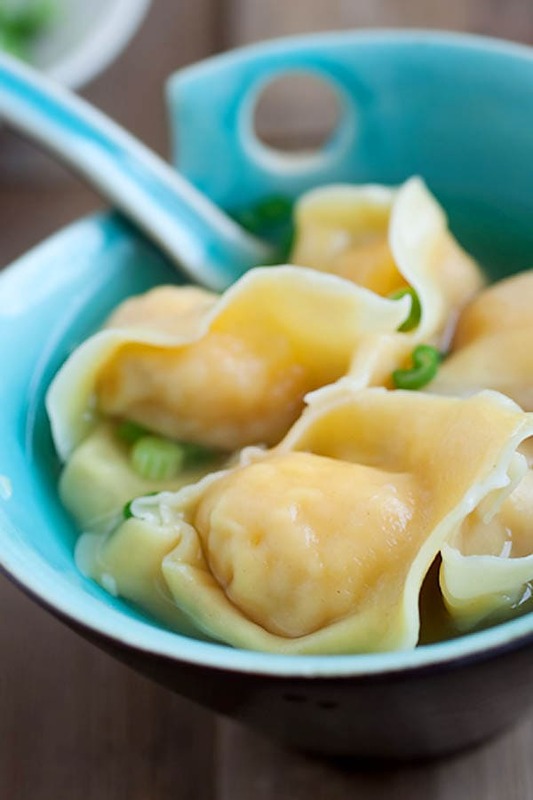 Be warned that these wontons are absolutely addictive and you may want to make more! 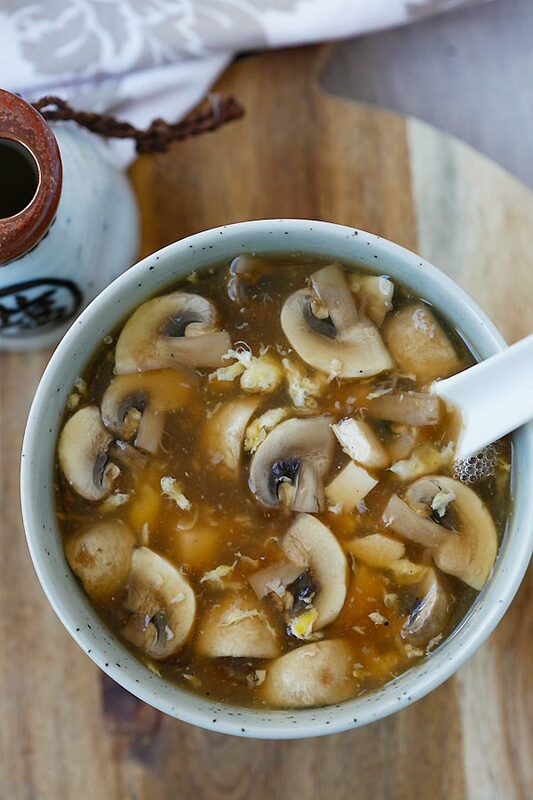 This is the easiest Hot and Sour Soup recipe ever. It takes a few simple ingredients and 15 minutes to make! Plump and succulent shrimp wontons in a steamy hot soup. This is an authentic, hearty and nourishing soup for Chinese New Year. 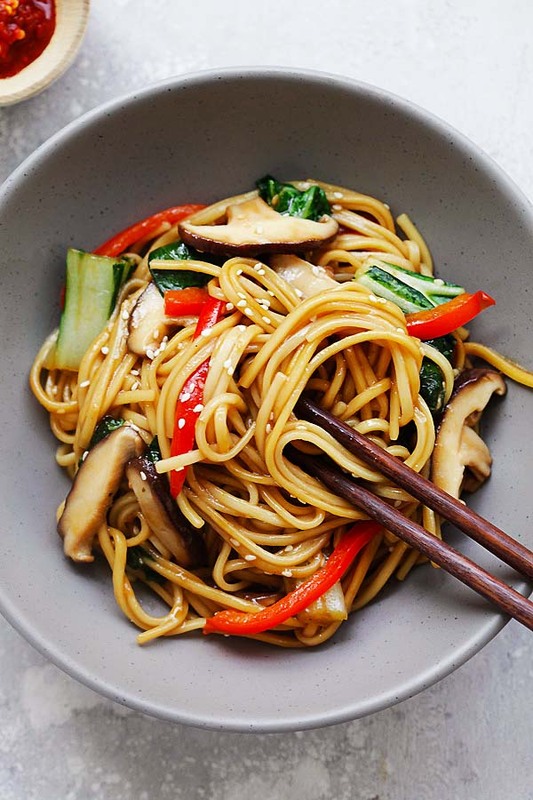 Easy and healthy Lo Mein noodles with bok choy, bell peppers and mushrooms. 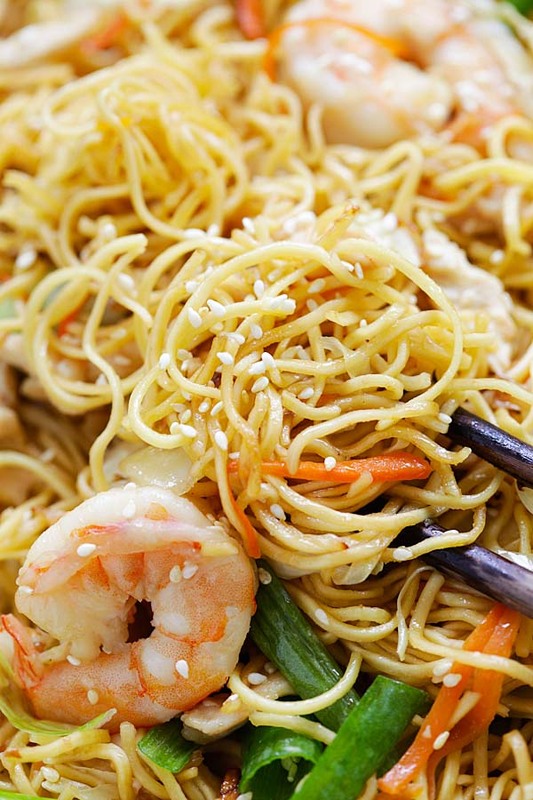 The soft and silky noodles are coated with delicious Lo Mein Sauce. Quick & easy stir fried Chow Mein noodles with chicken, shrimp & vegetables, with the best sauce. The only authentic noodle recipe you’ll need! You can’t celebrate the year of the Golden Pig without pigs. 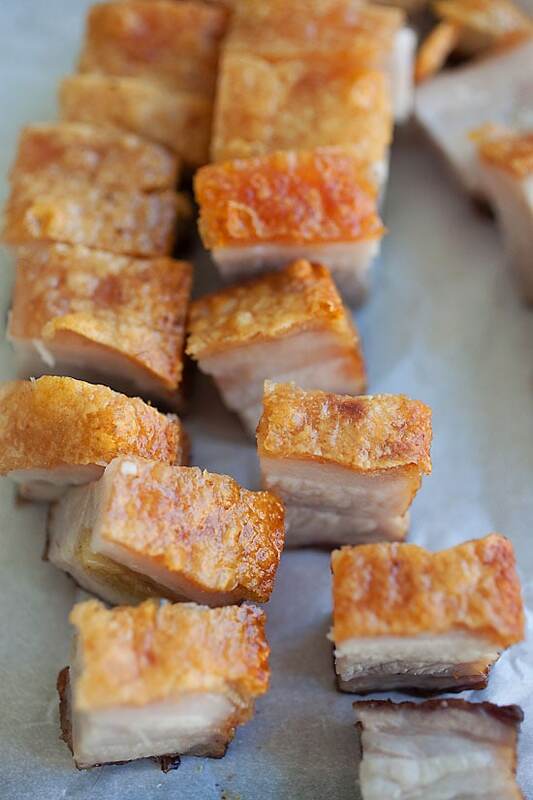 This Chinese roast pork recipe has crackly skin, crispy and tastes better than Chinatown’s. I promise you! Sticky sweet, savory and perfect BBQ pork belly. This recipe is so good you will thank me forever after trying the recipe! 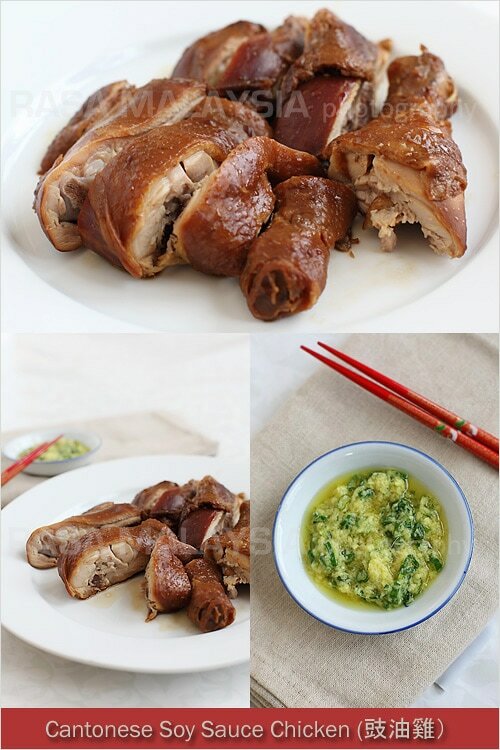 Whole Soy Sauce Chicken is perfect for Chinese reunion dinner for two reasons. First of all, it’s utterly delicious; secondly, it can serve the entire family. 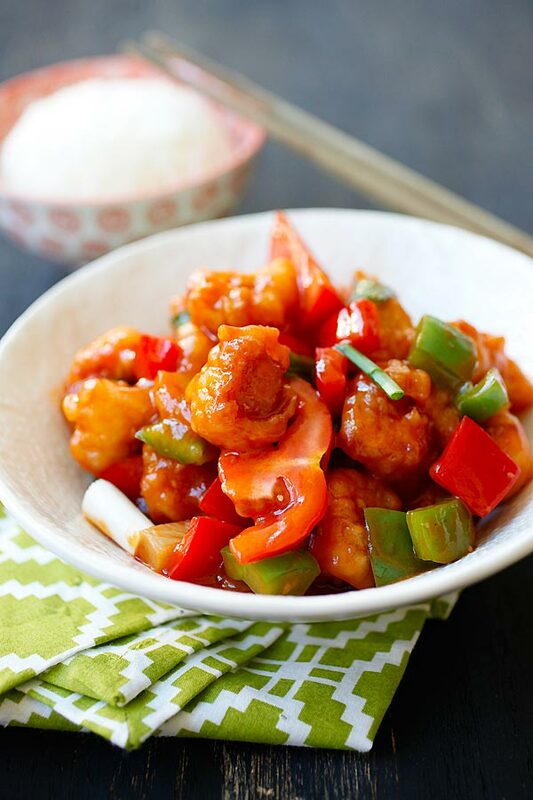 Sweet and Sour Chicken is a colorful dish, with a orange-hued sauce, plus red and green bell peppers. This dish will bring gorgeous color to the dining table. 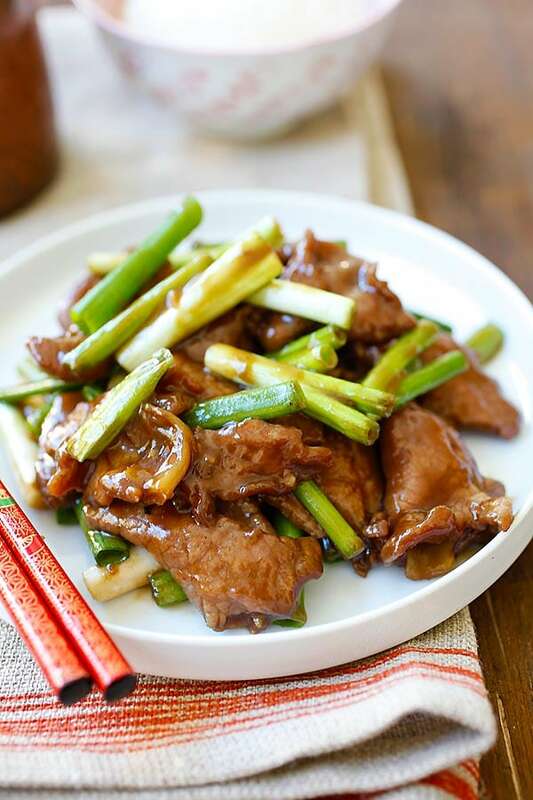 Silky, velvety and tender beef doused in savory brown sauce, with lots of scallions. This is the beef dish to serve for Chinese New Year. Crispy and battered fried shrimp in a sweet mayo sauce, topped with honey walnuts. 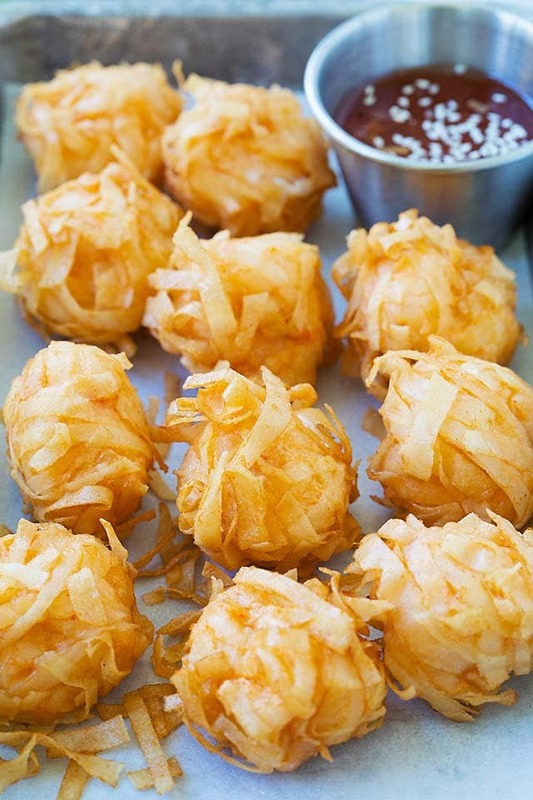 My mouth is watering at the very thought of these shrimps. 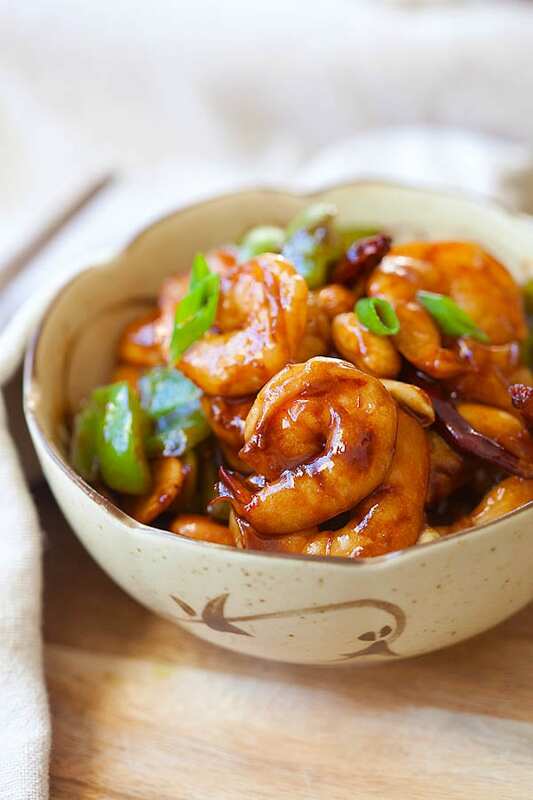 Juicy and succulent shrimp stir-fried with Kung Pao sauce. This mildly spicy shrimp stir-fry will be a crowd pleaser. Fish is a must-have for Chinese New Year and steamed whole fish is a symbol of abundance of wealth and prosperity. My steamed fish recipe is 100% restaurant quality, you really have to try it out. Not everyone loves steamed whole fish, so this Ginger-Soy Fish fillet will be perfect for those who can’t get fresh whole fish or prefer to eat boneless fish. My recipe rivals the best Chinese restaurants, I can assure you. 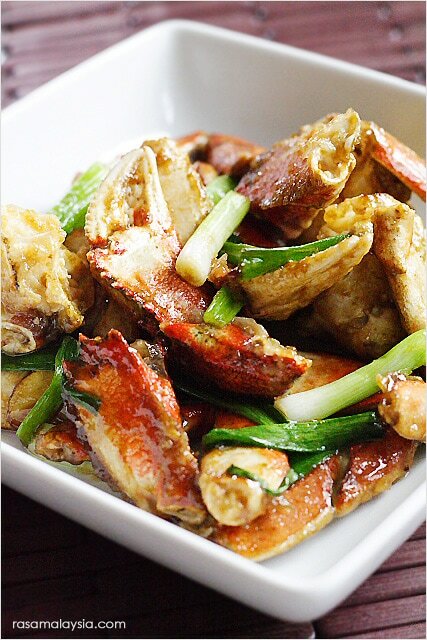 In fact, I developed this Ginger and Scallion Crab recipe based on the flavor of my favorite Chinese restaurant. This is the only vegetable dish you need to make. It’s simple, classic, and absolutely restaurant-worthy! Here is the infographic on the six (6) lucky food for Chinese New Year. You can read all about it on Zerocrater. Your recipes are simple, delicious and amazing! My niece, who now lives in the UK told me about your site and I am now on it as well, in the US. Your recipes are going global!! Thank you for sharing. Thanks Venencia. I am so happy to have you as a new fan. Thank you!! My daughter doesn’t like fish but I always make your whole steam fish. This year I will shape chicken breast slices to look like a fish and steam according to your recipe! 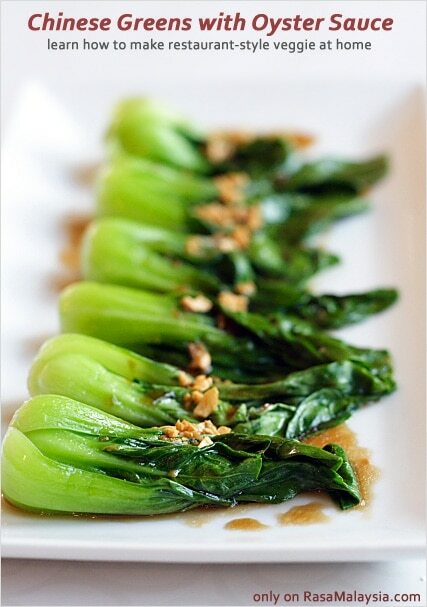 For the tail and fins I will use bok choy leaves!